In addition to our academic master’s degree programs, USC also provides executive leadership and executive education programs at the USC State Capital Center in Sacramento and Los Angeles. These custom-designed programs led by world-class faculty can help your executives achieve their leadership potential. Public-sector and nonprofit professionals at every level have reported high satisfaction in the the quality and delivery of our unique programs. USC Price School Leadership Programs are interactive seminars designed for building skills and practices that expand leadership abilities. The curricula provide real approaches to real problems, and the lessons can be applied immediately in the workplace. 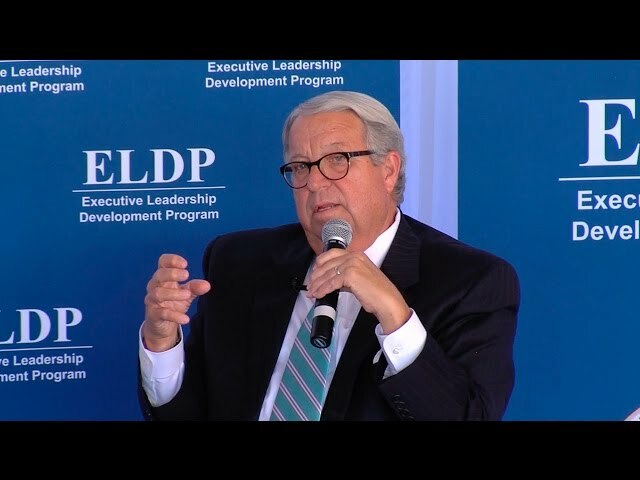 This video is an example of our programmatic approach and impacts for the LA County Executive Leadership Development Program designed for senior-level County executives. Extensive experience. The USC State Capital Center in Sacramento has over 35 years of expertise in the design and delivery of distinctive curriculums for public sector and nonprofit executives. We teach participants to think differently and offer strategies to make a tangible impact within an organization. Under the direction of Dr. Paul Danczyk, the Center currently offers 14 leadership and management programs targeted to executives in city, county, regional, state and national organizations. More than 600 participants have been served by these programs over the past year. Proven tailored programs that work. Each program is designed through a focus group process for the specific needs of the participants. These programs emphasize experiential, action-based learning to directly involve participants, encourage interaction outside of classroom sessions, and reinforce understanding of key concepts and issues. Participants gain new techniques for improving organizational cultures and a new framework for understanding the world. University-based training built on best practices. A key strength of the USC leadership programs is the dissemination of proven leadership practices that are based in rigorous research and practice. Training is focused on skill development and is politically neutral. Expert faculty and presenters. A large and diverse network of faculty and well-known experts instruct through experiential pedagogy. Each of the trainers have over 10 years experience teaching in the public sector. Access to a wide range of presenters ensures that the right instructor with specialized expertise will be able to address each client’s specific organizational needs.